American Le Mans Series-style sports car debuted on the 2.54-mile Road Atlanta circuit for the first time in 1999 for the Petit Le Mans event. One of the most recent endurance races, victory at the Petit Le Mans has gained the prestige as a coveted victory in sports car racing. Pleasing the American Le Mans Series head and Road Atlanta owner Don Panoz, teams competing in the event stretching 1,000-mile or 10-hour (whichever mark is approached first) can also secure an automatic entrance in next year's 24-Hour of Le Mans. 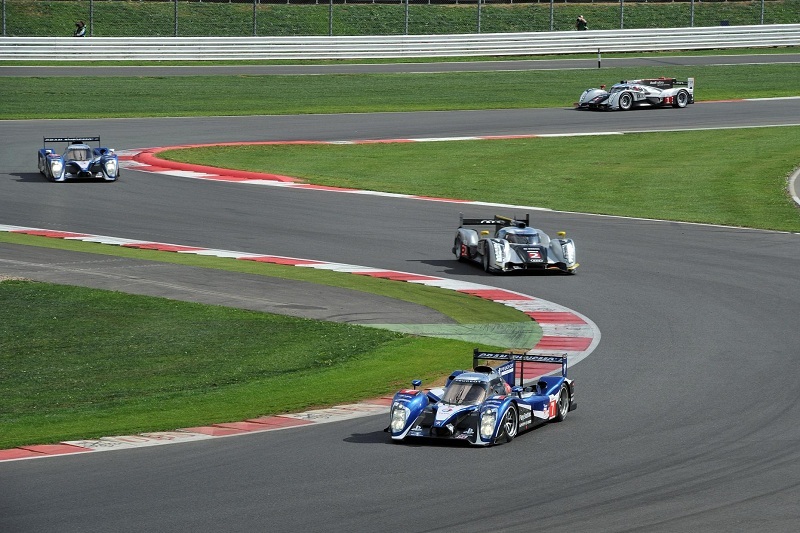 For 2011, 58 cars among 5 racing categories have shown up for the 12th annual autumn race. With Audi confirming the presence of Team Joest at the event last week, the 2011 Petit Le Mans is set to become another modern rivalry between the Peugoet 908 and the Audi R18. In what amounted to be a close qualifying result, the overall lead to the green flag, the French squad of Peugeot claimed first blood against Audi. Featuring the driver pairing of Sebastien Bourdais, Simon Pagenaud and Anthony Davidson for this weekend, the #7 Peugoet 908 flew around the Road Atlanta track in 1 minute, 7.428 seconds. The pole-winning Peugeot claimed only a 0.128 second advantage for the top spot. The #1 Audi R18 demonstrated the ability to keep pace with the winning team of the past two Petit Le Mans events. Competing the past two times with variations of the R15 prototype, Audi Sport Team Joest have been foiled for what would be their 10th Petit Le Mans victory by the Peugeot 908. Audi Sport Team Joest is determined to claim back its dominating ways which transpired as their storied R8 and R10 prototype sports cars went mostly contested. 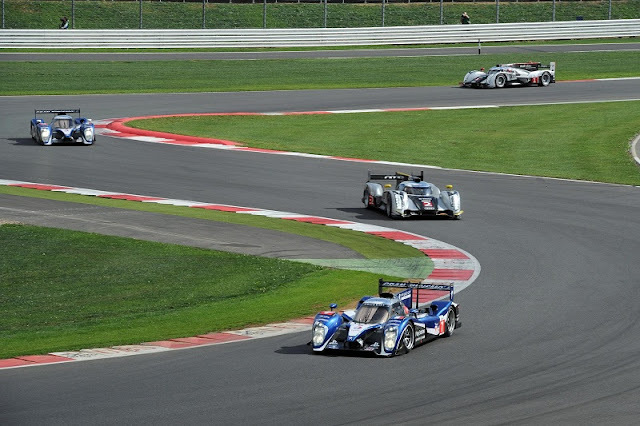 In the second row for the 2011 Petit Le Mans start, Peugeot and Audi cars share the grid position for the LMP category and overall for the event. The second-most watched class in the Petit Le Mans on Saturday will be the GT category where Ferrari, BMW, Porsche and Chevrolet all have a likelihood for claiming a season-ending honour of victory. With each of these automaker recording at least one win in the American Le Mans Series season entering Road Atlanta, the GT class is a battle royal among the production-based vehicles. Leading in the overall team point standings is the BMW M3 GT cars fielded by Rahal Letterman Lanigan Racing convincingly over the fierce competitors for 2011. For Petit Le Mans qualifying, the #51 Ferrari F458 Italia took the class pole over the BMW M3 pair. The #51 Ferrari who be starting 24th overall in the starting line-up for the Petit Le Mans with the Rahal Letterman Lanigan Racing BMWs securing 25th and 26th. The top-3 cars in the GT running order were separated by only 0.52 seconds on the qualifying time sheet. Making its American Le Mans GT class debut at Road Atlanta will be the Lotus Evora GTE race car. Campaigned by Lotus Jetalliance, the Evora GTE will be participating as a prep for the car's full season of competition in 2012. In the Prototype Challange category, Intersport Racing's #89 car was rebuilt from a Friday morning practice crash to lead class. Concluding the practice session at Road Atlanta, the Intersport Racing crew were able to effect repairs to the exact racing machine that was involved in a massive crash with the Robertson Racing #40 Ford GT. Unfortunately, the Robertson Racing car was unable time into the Petit Le Mans event Friday but could race Saturday. Starting at 11:30 an Eastern time, the 2011 Petit Le Mans under what is expected to be a largely sunny day at Road Atlanta.